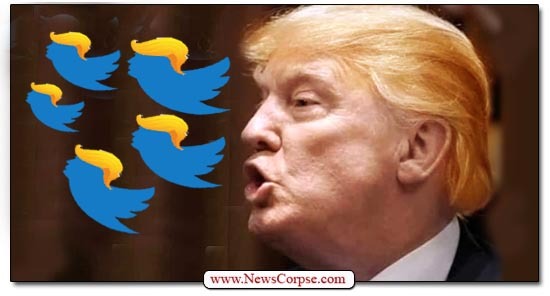 Early Wednesday morning Donald Trump posted another tweetstorm that ranted incoherently about the media being “the enemy of the people” and wishing for them to “go bust,” putting thousands of Americans out of work and leaving only State TV outlets like Fox News to provide their lies to the nation. It was the sort of reckless tirade that can (and has) lead to bloodshed. “Prosecutors say the list included designations they believe referred to Democratic Sens. Richard Blumenthal, Chuck Schumer, Elizabeth Warren, Tim Kaine, Kirsten Gillibrand and Cory Booker; House Speaker Nancy Pelosi; and House Democrats Alexandria Ocasio-Cortez, Maxine Waters, Ilhan Omar and Sheila Jackson. Also on it was former Rep. Beto O’Rourke and former Hillary Clinton campaign chairman John Podesta. This is the sort of deadly, crackpot white nationalism that comes from watching too much Fox News and listening Trump’s deranged sermons at his cult rallies. Hasson is without a doubt a domestic terrorist with a determination to carry out the most hostile version of the dystopia advocated by Trump. But Trump has said nothing about his plot or arrest. 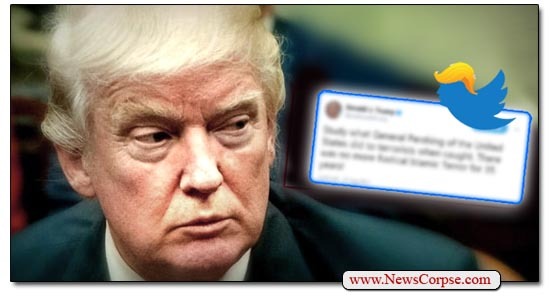 However, Trump did post a tweet announcing that he gave an order to prohibit Hoda Muthana from reentering the U.S.
Muthana is an American citizen who traveled to Syria allegedly to join ISIS. She now regrets her decision and expresses remorse for her “naive, angry, and arrogant” behavior. Whatever you may think of her, or her desire to return to her family and birthplace, Trump’s participation in the matter is absurd. This is a decision that is generally made way below the presidency. So the only imaginable purpose for Trump’s involvement is the publicity. Nevertheless, Trump doesn’t seem the least bit interested in publicizing the arrest of a straight-up domestic terrorist whose views are aligned with his own. And he doesn’t seem to think that it might be useful to condemn such actions in order to deter others like Hasson from concocting their own plots. Trump’s banning of Muthana will have negligible impact on anything. But his silence on Hasson will be viewed as greenlighting the revolution that his Deplorables dream about. 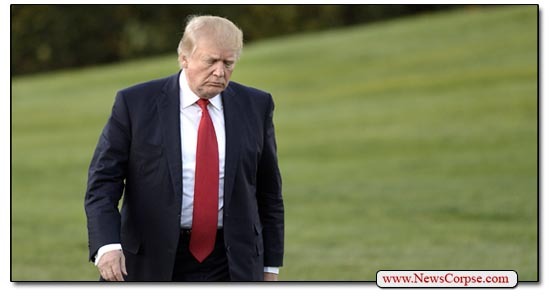 There has been considerable speculation for the past couple of years about whether Donald Trump is mentally stable or capable of performing his duties as president. His psychological condition has been questioned by mental health professionals and politicians from across the ideological spectrum. And now as the U.S. government is being shutdown over funding for Trump’s vanity border wall, those questions are getting harder to ignore. Setting aside the obvious lie that Trump is “working hard,” it’s notable how he is now tying the debate to only “Border Security.” Didn’t he leave something out there? Trump didn’t mention his wall in that tweet or the others that followed. And border security (minus the wall) has always been a part of the Democratic platform. Of course his omission may just be due to his inability to concentrate on anything for more than half a minute, unless it’s a mirror. But it might also be an indication that he recognizes that Democrats are not going to pacify his ego and allocate funds for a useless wall. Trump later tweeted that he would having a big lunch with a bunch of people to discuss the matter. It’s comforting to know that he will be well fed while tens of thousands of Americans will not be getting paid this holiday season. ….going to be there for three months, and that was seven years ago – we never left. When I became President, ISIS was going wild. Now ISIS is largely defeated and other local countries, including Turkey, should be able to easily take care of whatever remains. We’re coming home! First of all, ISIS is far from defeated. Estimates by his own administration say there are 30,000 ISIS fighters in Syria. On Friday his press Secretary, Sarah Huckabee Sanders, said that Trump had destroyed 99.9 percent of ISIS in Syria. If you do the math, that would mean that they started out with thirty million – which is patently absurd because that’s almost twice the total population of Syria. However, Trump’s remarks that Turkey “should be able to easily take care of whatever remains,” are even more troubling. He’s right if what he means is that Turkey will take care of (i.e. slaughter) our allies, the Kurds, as soon as we leave. And he doesn’t bother to mention the fact that our retreat will leave the country to Russia and Iran for the foreseeable future. Vladimir Putin even praised Trump’s decision to run away. And it’s among the reasons that Defense Secretary Mattis resigned in protest, along with the U.S. special envoy to the coalition to defeat ISIS. So as usual, Donald Trump is doing everything he can to please our enemies (especially Russia), while working overtime to harm our allies. And his efforts on the domestic front are even worse as he shuts down the government for Christmas and shows no sensitivity for the plight of fellow citizens. With every day Trump demonstrates that he is working against the American people (who don’t want the wall), and solely on his own behalf. Including even more instances of obstruction of justice to escape accountability for his many criminal activities. It’s long past time for him to go. Friday morning there was good news out of Florida regarding the MAGABomber. Authorities have confirmed that a suspect, Cesar Sayoc, Jr, is in now custody. He is described as a Florida resident with ties to New York and a criminal past. 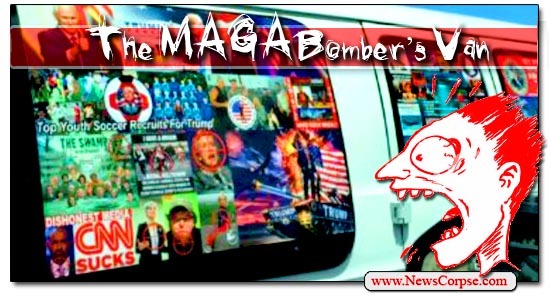 And while that sounds a little like Donald Trump, it’s actually just a like-minded supporter with pro-trump, anti-media stickers plastered over most of his van. Now who would ever have guessed that? Apparently Trump is furious that the media can criticize the President “at will.” They didn’t even have to get official permission from the White House. What do they think this is? A democratic republic with a free press, or something? And the only reason that anyone blames him for the “current spate of bombs” is because he’s demonstrably responsible. Trump’s relentless and reckless attacks on his political opponents and the press have created an atmosphere that emboldens fringe characters like Sayoc. Trump complains that he is called “unpresidential” for criticisms. But the reality is that his criticisms are overtly hostile and explicitly advocate violence. Trump leads off by gaslighting the nation with phony assessments of the state of the Republican campaign. If anything, the early voting is benefiting Democrats, as is the massive fundraising advantages that Democrats are enjoying. So Trump resorts to belittling the domestic terrorism by his supporter as “this ‘Bomb’ stuff.” It’s downright sickening that Trump’s reaction to mail bombs being sent to prominent Americans is to whine about the political ramifications, rather than the threat to human lives. Furthermore, Trump’s complaint about a news story distracting from the election is absurd and hypocritical. He’s been demagoguing about the Central American refugees for weeks now, in an effort to influence his base of cult voters. Never mind that they are not expected to reach the U.S. border until at least a month after the election. By the way, the news is still talking about politics. 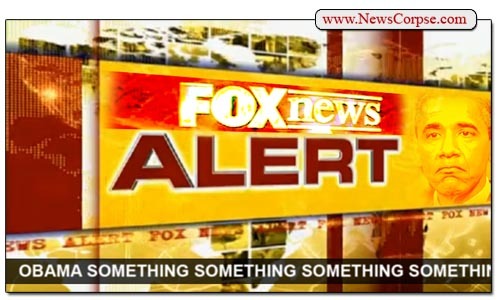 Even Fox News. This is the sort of brilliant, expert analysis you might expect from Sean Hannity, Lou Dobbs, or Diamond & Silk. Which is almost certainly where he got it. And it isn’t the first time that Trump has ranted – with zero evidence – that he and other rightists were the victims of social media bias. He has even promised to stomp the boot of government down on Twitter, Google, etc., if they didn’t bend to his will. Trump’s claim that the number of his Twitter followers has declined from a “Rocket Ship” to a “Blimp” is not supported by any documentation. Like almost everything else he says, it’s backed up by his big fat assumptions based on nothing but an overactive imagination. If anything, any declines are more likely attributable to the fact that more than half of his followers are fake (and probably Russian). Throughout all of this blathering idiocy, Trump is failing any test of leadership by focusing the country on unity and a determination to make our politics more civil and our people safer. He hasn’t even reached out to the victims in this matter, which include two former presidents. He only sees these things in terms of how they affect him personally. But that’s been his modus operandi since even before he was President. So don’t expect him change or “pivot” to acting presidential. Any who still thinks that’s a possibility is terminally naive. The news on Wednesday morning is the sort of thing you might expect from a third world country or a war torn region like Afghanistan. Suspicious packages have now been found targeting George Soros, the Clintons, the Obamas and CNN. It’s a concerted attempt to sow fear in order to influence political behavior. That is the textbook definition of terrorism. Rick Scott is known as easily one of the best Governors in the USA. Florida is setting records in almost every category of success. Amazing achievement-the envy of the World. Ron DeSantis will build on this success. His incompetent opponent will destroy Florida – next Venezuela! All Republicans support people with pre-existing conditions, and if they don’t, they will after I speak to them. I am in total support. Also, Democrats will destroy your Medicare, and I will keep it healthy and well! I will be doing a major rally for Senator Ted Cruz in October. I’m picking the biggest stadium in Texas we can find. As you know, Ted has my complete and total Endorsement. His opponent is a disaster for Texas – weak on Second Amendment, Crime, Borders, Military, and Vets! The Deep State and the Left, and their vehicle, the Fake News Media, are going Crazy – & they don’t know what to do. The Economy is booming like never before, Jobs are at Historic Highs, soon TWO Supreme Court Justices & maybe Declassification to find Additional Corruption. Wow! Let that sink in. Trump is asserting that his “very dangerous & sick” enemies in the media and the Democratic Party are going to cause war. How hard is it is to project from that the sort of violence that we’re witnessing today? Trump casts Democrats as arsonists. He celebrates a GOP congressman who body slammed a reporter. He refuses to condemn the brutal murder of a Washington Post reporter by his Saudi Arabian pals. He idolizes murderous dictators like Vladimir Putin and Kim Jong Un. And he has recently taken to calling Democrats a “mob” – nine times in just the past week. What the hell does he expect? He is inflaming a glassy-eyed cult following that worships him and guns. He just proudly proclaimed that he is a “nationalist,” a term that he acknowledged he is “not supposed to use.” That’s because it is associate with racism and the blind loyalty demanded by Hitler’s regime. But Trump doesn’t care about any of that. Or more accurately, he deeply cares about putting forward the philosophies of the fascists and racists that he has been representing since he first occupied the White House. So anyone who didn’t anticipate these events – including his accomplices at Fox News – as the inevitable result of Trump’s purposefully bloodthirsty and bellicose bombast, are terminally naive and equally responsible. UPDATE: Add to the list of targets John Brennan, Debbie Wasserman Schultz, Eric Holder. Is Trump ‘Complicit’ in Terrorist Threat By Supporter to ‘Gun Down’ CNN Employees? Two days ago Donald Trump released a campaign ad that made a remarkable and nauseating accusation. The ad was rife with racist rhetoric and insults aimed at his political foes. The most disturbing part was where it charged that “Democrats who stand in our way will be complicit in every murder committed by illegal immigrants.” That is not only flaming bigotry, but it also demonstrates a totalitarian warning to anyone who might stand in the way of the Bully-in-Chief. “Fake news. I’m coming to gun you all down,” said the caller, who cursed and used an expletive directed at African-Americans, the affidavit said. “I am on my way right now to gun the f****** CNN cast down …. I am coming to kill you,” the caller said a second call to CNN, according to affidavit. Sound familiar (more detail here)? These are sentiments that Trump has been disgorging for the past couple of years. His hostility toward the media is well documented. He has maligned them in Stalinist language as “the enemy of the people.” He demeans reporters as “sleazy,” “dishonest,” and “horrible people.” He advocates changing laws to make it easier to sue publishers. He has featured CNN in particular as the victim of his violent abuse in tweets where he body slams them or runs them down with a train. Trump has even speculated about literally killing reporters. It may have been his idea of a joke, but is the consideration of murdering journalists really funny? 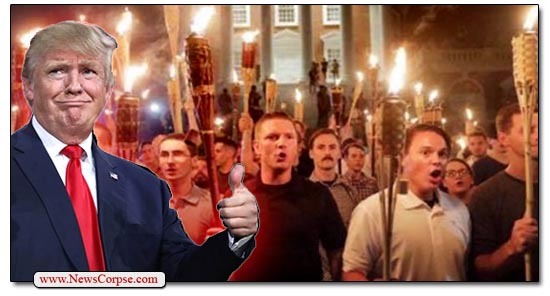 At a campaign rally in Virginia he revealed his true feelings about the press to his audience of drooling disciples saying “I hate some of these people, I hate ’em. [But…] I would never kill them. I would never do that. Uh, let’s see, uh…” He eventually concluded that he probably wouldn’t kill them, but he had to think about it. And now one of his devoted minions has taken it to the next level by openly threatening the same news organization that Trump has attacked with unambiguously violent rhetoric and imagery. What did Trump expect? This was as predictable as a sunrise. And just because this crackpot was foiled doesn’t mean there aren’t others waiting for their opportunities. When Trump says that Democrats are complicit for any murders committed by undocumented immigrants he is reaching way too far to make any sense. But his warped logic applies much more accurately to his own incitement to violence against the media. And if one of his twisted troops manages to follow through on his mission, there will most assuredly be blood on Trump’s hands. Sadly, another terrorist attack has taken place in New York City. This tragedy has taken the lives of eight innocent victims and injured a dozen more. At times like these Americans are called upon to unite against such senseless brutality and to come together in support of those affected. It’s a manifestation of the strength and resolve that we have to endure and prevail. It’s nauseating that Trump appears to be more upset with Sen. Schumer than with the terrorist. What’s more, he is predictably misrepresenting the truth. The Diversity Visa Lottery program was supported by Schumer as an amendment to the Immigration Act of 1990. That bill passed in the Senate by a whopping 89 to 8 vote and was signed into law by George H.W. Bush. It was also supported by some notable Republicans including Chuck Grassley, Orrin Hatch, and current Senate Majority Leader, Mitch McConnell. Funny, Trump didn’t attack any of them. Something else Trump left out was that in 2013 a bipartisan group of senators, including Schumer, proposed to eliminate the Diversity Visa program. Known as the “Gang of Eight,” they offered a compromise immigration reform bill that would have ended the lottery. The bill was killed by conservative Republicans in the House. Trump’s comments fly in the face of his response to last month’s terrorist attack in Las Vegas. After that horrific mass murder Trump and the GOP were aghast that anyone would talk about solutions to gun violence. And after the murder in Charlottesville, Virginia, by neo Nazis, Trump declared that he couldn’t talk about it until he had the facts. But just a few hours after the attack in New York, while the investigation was still in progress, Trump was already pushing his partisan agenda and lying about his political foes. Tucker Carlson: It seems obviously tied to immigration, why is the country unwilling to have that conversation, to face that? Pamela Geller on Hannity: The fact is Muslim immigration means more Islamic terrorism. It’s just that simple. Laura Ingraham: Why must we take the risk, knowing that we can’t tell if an Islamic individual is going to be radicalized? Zuhdi Jasser on Tucker Carlson Tonight: [Americans] are in denial if we don’t believe that nonviolent Islamism is a precursor to militant Islamism. For the record, the Diversity Visa Lottery program was not a free pass to American citizenship. Recipients had to be vetted by all of the same criteria as any other immigrant applying for entry. They are also subject to the same requirements and waiting periods. Kilmeade’s description was patently dishonest and purposefully misleading. 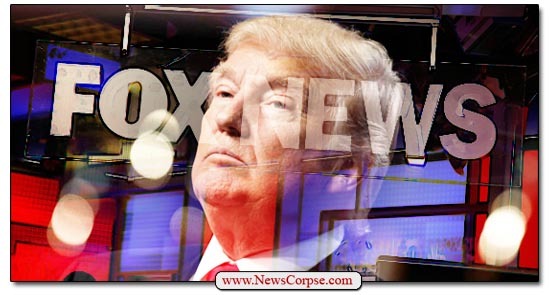 The fact that Trump relies on the disinformation and lies of Fox News is appalling and dangerous. They clearly don’t have the credibility to be the foundation for government policy. But Trump puts more faith in them than he does in the intelligence agencies he oversees. This morning he called his own Justice Department “a joke and a laughingstock.” The result is ignorant policies that are infused with noxious racism and bigotry. Not to mention the corrosive division that is sown by a President who regards his political opponents, and the media, as worse than our nation’s real enemies. The news yesterday of the massacre in Las Vegas was both horrific and predictable. It is unbearably sad that Americans are still being slaughtered by madmen with weapons that should only be available to soldiers at war. And yet, too many of our national leaders continue to resist common sense methods to keep such deadly artillery off the streets. So once again we are mourning the dead and sending out thoughts and prayers to their loved ones. Just as predictable is the fantastical fiction of conspiracy theorists and others seeking to exploit tragedy. Chief among them is Alex Jones, a devoted supporter of Donald Trump whom, he claims, he’s in frequent contact with. 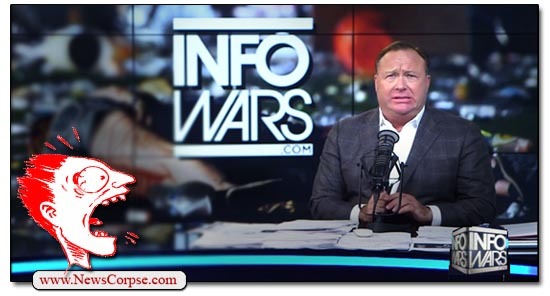 Trump has has appeared on Jones’ Infowars program praising his “amazing” reputation. And an Infowars “correspondent” was actually granted a White House press pass. Perhaps the reason other news outlets are reluctant to report it is because there’e no proof that it’s true. The report by the Associated Press includes the disclaimer that ISIS “has a history of exaggerated or false claims.” Even so, Jones’s media bashing was wrong. A tweet by CNN’s Brian Stelter explained that CNN and others ought not to cover the claim by ISIS because there isn’t “a shred of evidence” to support it. And NBC’s Pete Williams did discuss the claim on MSNBC, also noting that it wasn’t believable. Really? Simpson was released in the dead of night specifically to avoid any media coverage. And it worked. There was a single fixed camera at the prison that caught Simpson’s release. Jones also alleged that Democrats and communists were planning to “go violent and start shooting and killing police, conservatives, whites, you name it. And that white genocide needs to be carried out.” According to Jones, this was reported by national news organizations. It wasn’t. And even Saturday Night Live was accused of being a part of the plot to “cause a civil war in this country.” And before he was done, Jones regurgitated the debunked story that Democrats or unions refused to deliver emergency supplies to the victims of Hurricane Maria in Puerto Rico. This is the level of depravity that Alex Jones sinks to on a regular basis. He previously said that 9//11 was an inside job. He charged that the mass murder of the children at Sandy Hook was a hoax staged by actors. And he still doesn’t believe that Barack Obama is a U.S. citizen. Nevertheless, he has the respect of Donald Trump who promised that “I will not let you down.” And given the quantity and quality of his lies, Trump is surely keeping that promise. Thursday afternoon the world was stunned by another terrorist attack on innocent civilians. This one took place on a popular street in the heart of Barcelona, Spain. Authorities are still investigating the circumstances and possible suspects. At this time there appear to be twelve fatalities and dozens more injured. This tweet was posted without the slightest bit of irony in recognition of the events of the past week. It took him only a couple of hours to publicly declare this unfolding incident a terror attack. Contrast that with the two days it took for him to condemn the white supremacist perpetrators of terrorism in Charlottesville. Does he care more about the victims in Spain than does about those in the United States? Or do white terrorists get a pass from Trump? And what about his insistence that “Before I make a statement, I need the facts. So I don’t want to rush into a statement.” That was his excuse for not speaking out sooner about the murder of Heather Heyer. But today facts seem to have gone out of favor in this White House. “Of the eight historians we checked with, all were at least skeptical that what Trump said actually happened, and some expressed disbelief even more forcefully than that. The only evidence of something approximating what Trump said stems from one letter documenting a different scenario written by a veteran more than a half century after the fact. This is typical of Trump’s deliberate perversion of the truth to suit his own propaganda needs. He seems to have no shame in repeating falsehoods that have been unambiguously debunked by experts. The only thing he cares about is the promotion of his own interests. He is very likely only exploiting the tragedy in Spain to distract from the mess he created here at home. And if keeping his glassy-eyed disciples neck deep in lies is the result, that’s their tough luck. Remember, he loves the poorly educated, and this is one reason why. Donald Trump’s demonstration of impotent machismo last week is beginning to get the scrutiny it deserves. The national press initially fawned over his missile attacks on Syria, suggesting that he had finally become “presidential.” It was an embarrassing display of the media’s war fetishism. It didn’t take but a few hours for reality to set in regarding the wisdom (or lack thereof) of Trump’s pointless aggression. The bombed airstrips were back in use the next day, and there was no perceptible impact on Assad’s barbarism. Dickerson: Do you think the administration did anything to encourage this behavior by the Syrians by saying that the Syrian people would determine Assad’s fate? And that removing him is not a priority? Things that were said before the use of chemical weapons? McCain: I think it probably was partially to blame. And Secretary Tillerson basically is saying the same thing. After kind of contradicting himself and then saying the same thing, argues vigorously for a plan and a strategy. The unintended implication of that is that the 9/11 terrorists perceived weakness on the part of Bush which invited them to attack. The same could be attributed now to Assad perceiving such weakness in Trump. After all, after Obama forced Assad to relinquish the chemical weapons he had at the time, Assad never tried to use them again during Obama’s tenure. It wasn’t until Trump came into office that he felt he could risk it.